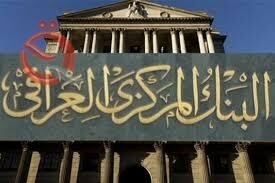 The Central Bank of Iraq sold at a sale auction of foreign currency today more than 176 million dollars. A statement of the bank received "Economy News" a copy of it, "The total amount sold amounted to 176 million and 132 thousand and 151 dollars, with the participation of 35 banks." The total sales for the purpose of strengthening the assets abroad / remittances and credits / 137 million and 452 thousand and 151 dollars, while the total cash sales of 38 million and 680 dollars. The statement said that "the sale of amounts transferred to bank accounts abroad and cash sales was at 1190 dinars per dollar."